How many times have I said something like this? I had no intention of ever watching Supernatural. One-episode rule or not, I just didn’t think I’d like it. Too gloomy, I thought. Too dark, depressing, and bloody for my tastes, and considering some of the shows I’ve watched, that says something. Eventually, however, curiosity almost always kills the cat. It might not have, even with YouTube clips, if not for the recommendation of a certain friend of mine, who shall remain nameless, but who suggested the show a number of times over the years. 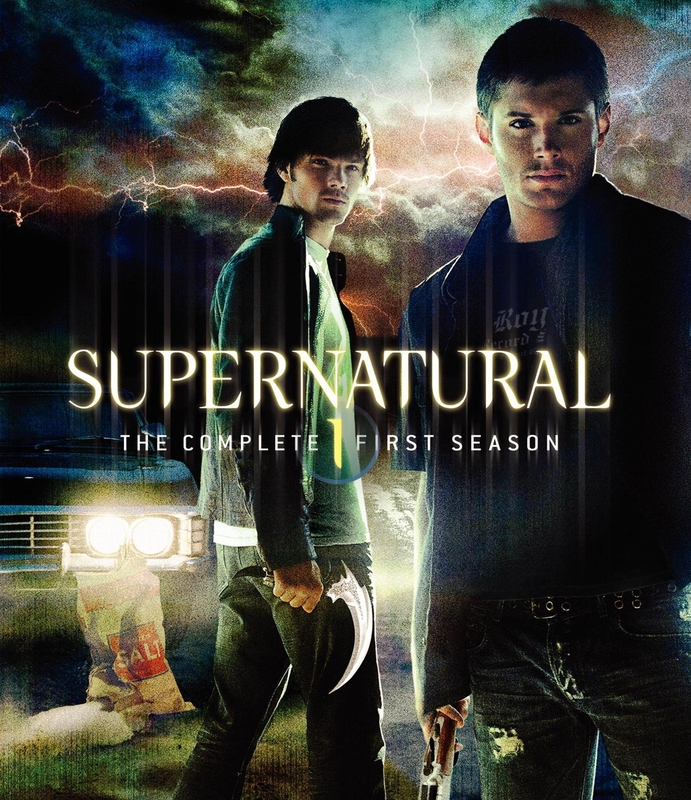 Supernatural follows the exploits and adventures of Sam and Dean Winchester and their allies as they go about, fighting a variety of monsters, protecting people, and saving the world. That’s basically it. Season 1: Duck, Duck, Ghost. Really, this first season almost lost me because of how slow, episodic, and repetitive it was. And for the huge menagerie of monsters the show eventually assembles, including an introduction to vampires and demons late in this season, they still dealt with ghosts 90% of the time. Less episodic, more overall story, and a number of recurring guest stars. Proper introductions to various other monsters, demons, psychics, and even other hunters, in fact an entire community that we didn’t hear about for the entire first season, and somehow don’t usually interact with very much. Also, approaching the idea of angels, and meeting one in disguise for the first time. Season 3: Dean’s Going Down. The year before Dean goes to Hell after that deal he made. Meeting pagan “gods” for the first time, the first references to Lucifer, and “the one who holds the contracts” (aka, Lilith), Azazel’s name spoken, and the first witch of the series. Finally we meet Castiel! A genuine angel! Also, the episodic structure is generally gone now. And we begin to see that all is not right with the angels, or in Heaven. It’s an intriguing weave, drawing Sam the soft-hearted towards Lucifer and Dean the unrepentant towards Michael. They even have a demon girlfriend and an angel girlfriend, respectively, at one point. With the Apocalypse going on, we see more pagan gods who eat their followers/disciples/unwitting worshipers/random strangers, we see the angels in full swing, we see the loss of friends and family, and we see the end of it all. Really, that was probably meant to be “the end” of the show initially. Season 6: Pick Up the Pieces, and Break Them. I notice some threads get dropped without comment, and others are brought back much later. It’s a very slow development. Also, reusing some plots here: old evil creeping forth, Sam being soulless, etc. Season 7: Here Come the Leviathans. Ok, small detail… since the Leviathans are so old, why do they need to eat people, specifically? They predate people, so they clearly had to eat other things back then, so why not now? Another god, this time Osiris. Dean is all, “why do we do this?” Again. Once again culminating in a Winchester sent to hellish oblivion, to return later. Oh, and Sam has really never had any luck with the ladies, has he? There’s a lot of repeating things here. The cost of living this kind of life. Making dangerous deals with dangerous creatures. How the heroes have screwed up whatever. How Sam and Dean have some major dispute that builds until they break apart, and then they’re back together one episode later. How Hell is plotting and Heaven is manipulating. Another fairy, more gods. We finally see a Hellhound. Sam and Dean always giving up everything and sacrificing the world for each other. Their ancestry, this time on their father’s side in the Men of Letters, again saturated in the supernatural, though at least they finally get a home base now. Castiel programmed by Heaven and going against it again. Being used and betrayed again. And with most of the old cast of guest stars killed off, the new set gets set up more strongly. 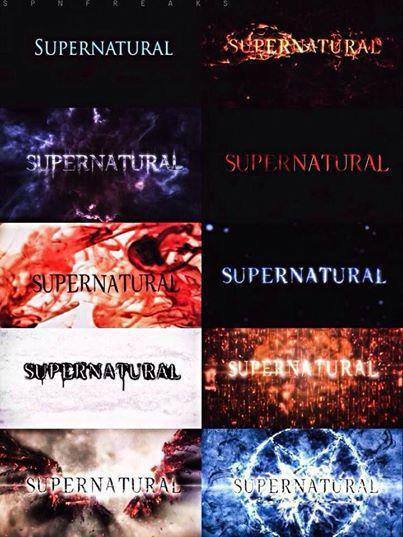 Season 9: Fighting for Heaven and Hell. More repetition. Once again, Dean has to keep secrets about Sam’s condition from Sam. Another of Dean’s old loves, this is at least the third one. Castiel consumed by his mistakes, old and new. With all the intrigue on the two battlefronts, though, I’m rather surprised the two wars never really spilled onto each other. 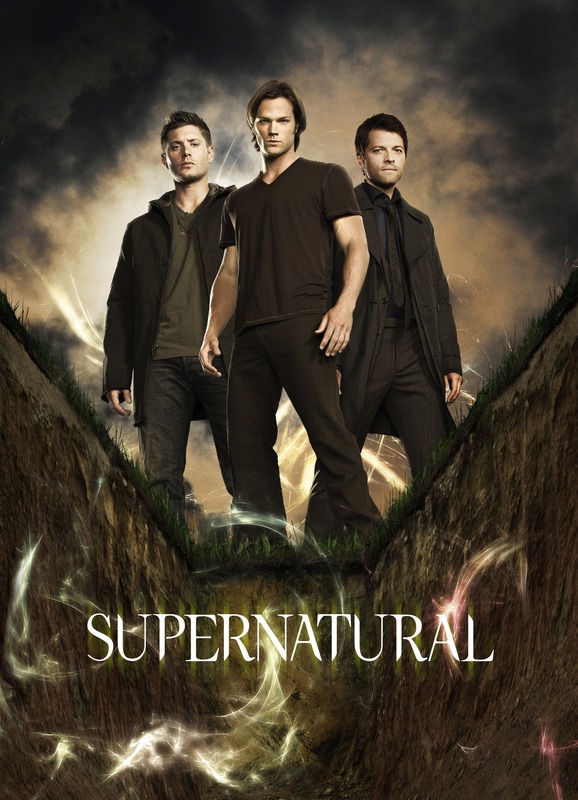 And, once again, the Winchesters and Castiel pull things off, saving the day, and get screwed for it. Season 10: The Darkness of Dean Winchester. This time it’s Sam saving Dean from being a demon. A new twist, but on something that feels a bit old anyway. Old choices keep coming back to bite them. They themselves are starting to comment on how they need to stop making deals with devils. Interesting, though, having an angel, Hannah, now at Castiel’s starting point, learning about humanity. And I believe this is the first mention of the “Grand Coven,” the ruling body of witches. Sheesh, just what did Rowena have to do to get banned by them? How is it no Hunters or Men of Letter knew of them? Ok, apparently the Men of Letters wiped out the witch population some time ago, but still. And Crowley’s having an interesting character arc as well, between Dean and Rowena. And when we get to Charlie’s death, I begin to think: “I’m really starting to hate how they kill everyone off.” Seriously, Game of Thrones has absolutely nothing on Supernatural. How many times are they going to have Castiel go crazy? How many times are we going to go back and revisit the Winchesters’ terrible youth? Lucifer’s expressions on Cas’ face just looks weird. Hmmm, another Men of Letters legacy. And they keep going with, “We’ve been cooped up looking for answers we can’t find for a week or two, let’s go get some fresh air on a hunt.” God finally shows his face, and, surprise, surprise, we’ve seen it before. Meaning he helped the Winchesters take everything off-script, which they’ve taken a lot of flak for. Once we get past the freak-of-the-week episodes, though, this is pretty gripping, like, the best the show’s ever been. The unusual alliances of forces is interesting, but it all comes to naught. And oh! The Men of Letters yet live in Europe! I absolutely hate the Men of Letters in England. Nice intro for the Princes of Hell: Ramiel, Asmodeus, and Dagon. You know, the show’s creator says the show doesn’t have an “ending,” and after twelve seasons, I can believe it. Still, with all the pieces they’re bringing back from all the previous seasons, it feels like this should be the concluding season, the one where the single greatest and most horrifying creature ever to walk the Earth are the humans. And I am, once again, getting tired of everyone dying. And they took it even further than usual: Castiel, Crowley, Rowena, all dead, and Mary and Lucifer trapped in another dimension. Seriously, is there anyone they actually know who is still alive? All of this, and still there is no end in sight, even after twelve years. Heck, the show’s creators have explicitly stated that there is no “planned” ending, which has been plainly and abundantly obvious! What are they going to do when they do end it? The Supernatural Wiki has a “killed by” category for the characters. This should tell you something. The origin of any of the psychics who were not created by Azazel is left unexplained. If it’s such a shock for an angel to be killed, theoretically by demons, then how is it that they’ve ever had any trouble at all dealing with demons? What threat could they have posed, and how did they overcome any of the angels, ever, at any point in the series or before it? If demons are “just up-jumped ghosts” who die when there is nothing left of their remains, how are there so many still around, especially the more ancient ones? If demons are already dead, what happens to them when they’re killed? How are they actually killed in the first place? What happens when an angel is killed? Are they actually dead? There are indications that the particles which make them up are simply scattered, though a being of sufficient power could reconstruct them. Which is interesting, and makes it a bit horrifying when they’re not reconstructed. If any werewolves can control themselves, why can’t all of them? I love all the intros and title cards. Just what, exactly, are the pagan gods? Where did they come from? Where does their power come from? How do they think they are the equal of the being that created the entire universe? What happened to the Leviathans? Sure, they managed to kill one, the leader, but what happened to the rest? For being all about family, the Winchester brothers forget their half-brother Adam in the cage pretty easily. And God leaves Michael languishing in the cage even while Lucifer, whom he abandons again, is out and about. Not to mention how Sam and Dean are apparently incapable of settling down with families of their own, though they certainly each have a plethora of special ladies that somehow they keep adding to. Just how many times did Dean fall in love before the series, and how many times is Sam going to fall in love with either a monster or a normal girl he has to leave behind? Also, one of the most horrifying heavens I’ve ever seen. I mean, you’re essentially trapped in your “best” memories, assuming you have any good memories to begin with, and you never see your loved ones again. You just continue to exist, in solitude, and the angels keep you there, like that, forever. It might not be torture, but it’s certainly a prison, and I can’t think of any pain worse than being forever barred from your family. So, all things considered, this show is definitely not for everyone. It’s dark, tragic, brutal, bloody, terrifying, sometimes disgusting, long, repetitive, and it probably holds the world record for fatality rate. But somehow it’s just so compelling that I can’t stop watching. I prefer to binge an entire season at a time, to rip the bandaid off all at once, but I watch it. 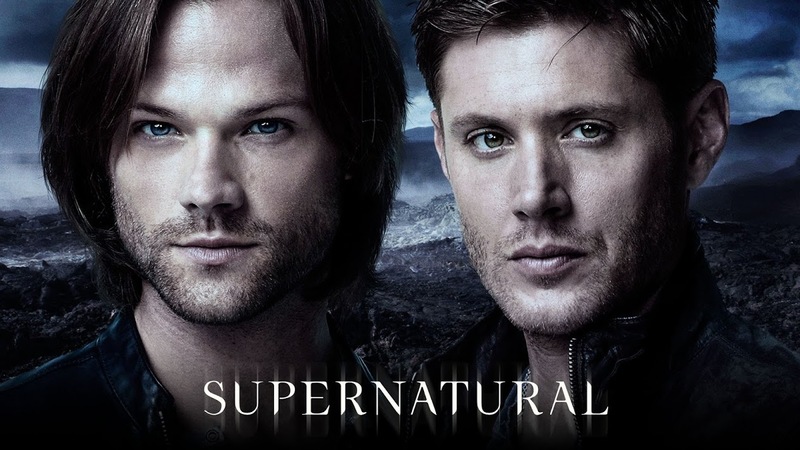 Sam and Dean are not your typical heroes, and the more their relationships fail, and the more their friends die, the more certain I am that they’ll never be permitted to live in peace, that the show can only end in their permanent deaths, but so be it. Supernatural is the story of Sam and Dean Winchester as they go about the family business, saving people and hunting things. This entry was posted in Tuesday Review, TV Shows and tagged Castiel, Dean Winchester, Sam Winchester, Supernatural. Bookmark the permalink. 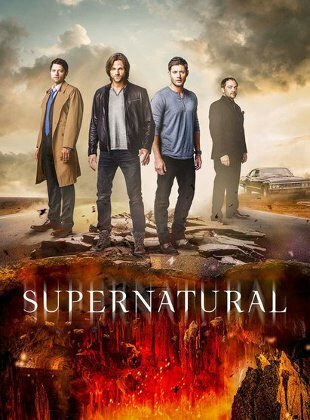 Yeah, I was also late to the game regarding Supernatural….I once saw one episode of it, didn’t like it, and didn’t really pay attention to it. But then it reached its 10th season so I though “what the heck, I have it on Netflix, so look what all the fuss is about”. I discovered that the episode I did see was one of the worst of season 1 (which I enjoyed overall, I all always a sucker for new takes on old myths and a lot of those early episodes are creepy in a way the later ones aren’t really anymore) and that it was surprisingly good for a show which was obviously made on a shoestring budget. 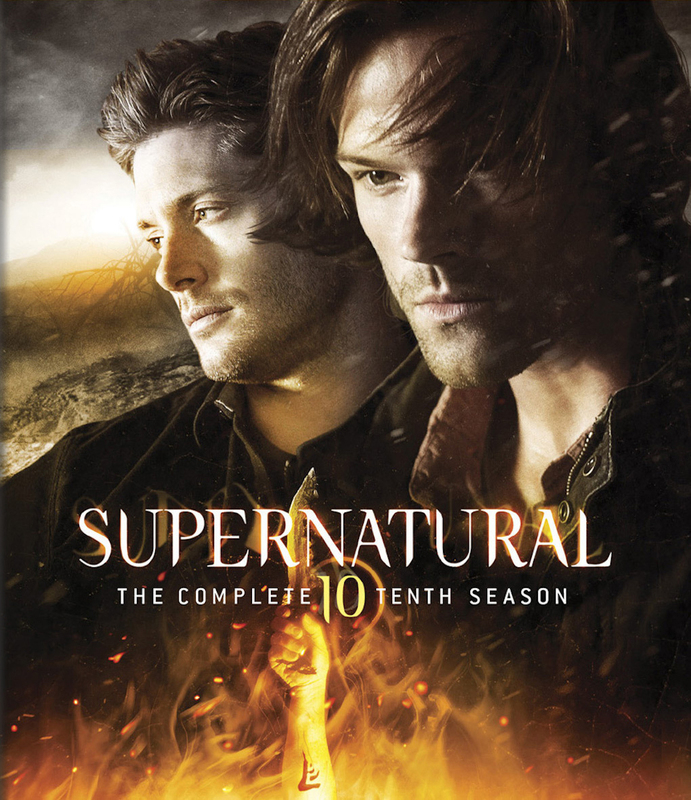 Overall, I think that the show has been the strongest in season four and five, because it added a lot of creative mythology there, and I would recommend to stop watching there if not for the fact that season eleven was surprisingly strong. Season seven used to be my least fav of all of them (honestly, they wasted a perfectly good plot about Castiel being a crazy god in favour for black goo!!!!) but the twelve rolled around and wtf was that? After season eleven was so brilliant, especially towards the end, season twelve had a vibe of someone not liking where the show left off and therefore reshuffling the cards. The show is far from perfect, but there are just enough creative ideas in it that it is kind of worth sticking around. Heh, that’s a pretty good sum-up! I liked season 12, particularly where it went, but it certainly was all over the place.